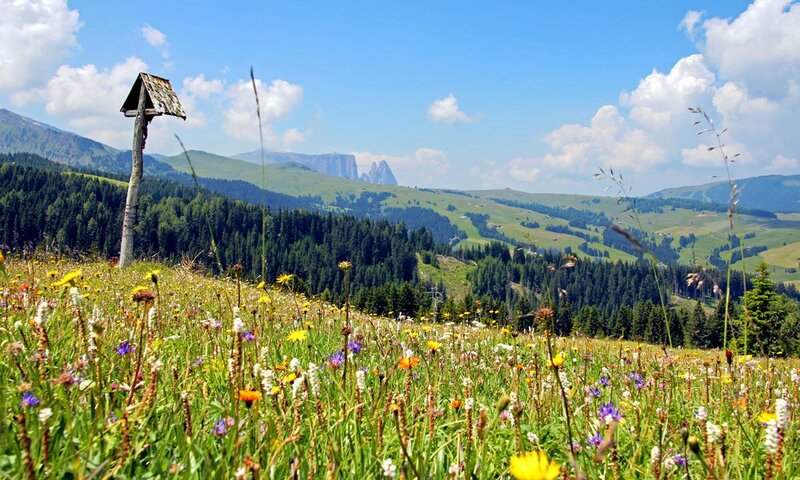 The Alpe di Siusi is in the truest sense of the word a picture-book alpine landscape. Like a green giant, the largest mountain plateau in Europe lays surrounded by impressive mountain formations. Mount Sciliar forms one of the most striking landmarks of our country. 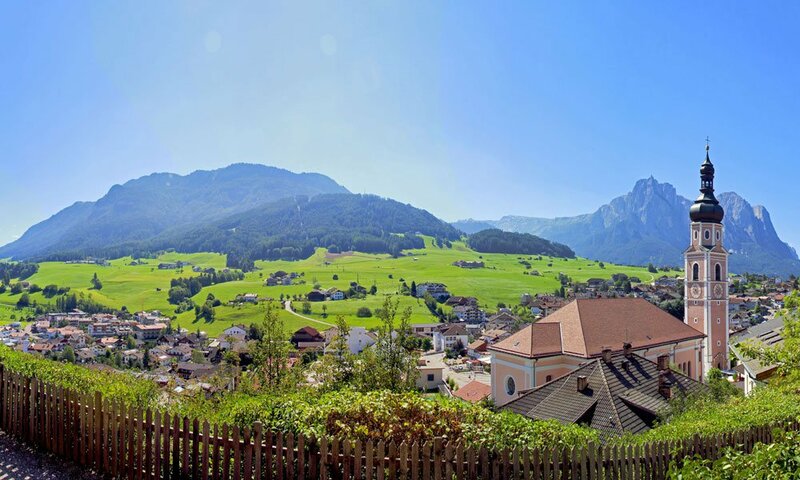 On 57 km2 the Alpe di Siusi features altitudes between 1,680 m to 2,350 m. The beautiful nature park Sciliar – Catinaccio was founded in 1975 and inspires nature lovers and hikers alike. 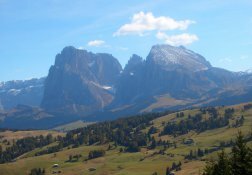 The wild nature shows dramatic forms and shapes, and with a bit of luck you may even see rare animals, which live in the Dolomites. 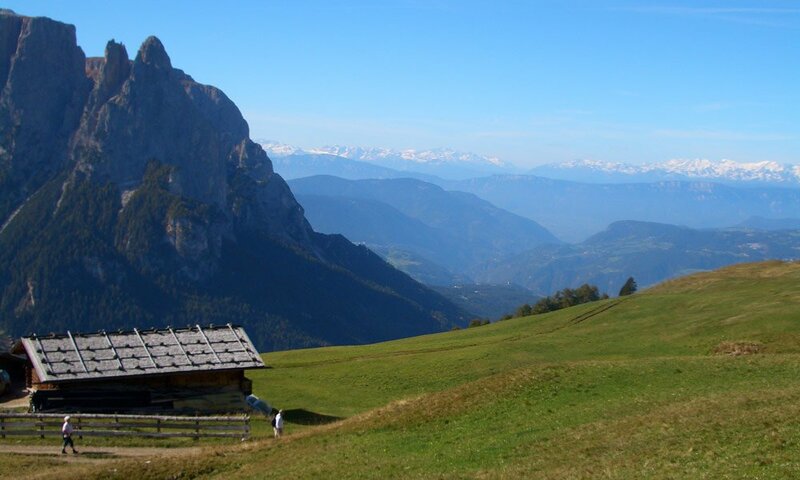 The farm Goldrainerhof & the Alpe di Siusi – A dream team for a perfect holiday! 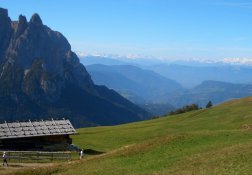 From our farm you can walk to the valley station of the Alpe di Siusi – or you may take the bus or the car – and take long hikes through this natural alpine paradise. Fabulous panoramic views and spectacular natural wonders are waiting for you. 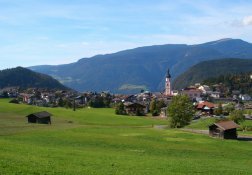 A wide network of trails leads you through the mountains – fascinating historical sites will enchant viewers of all ages. 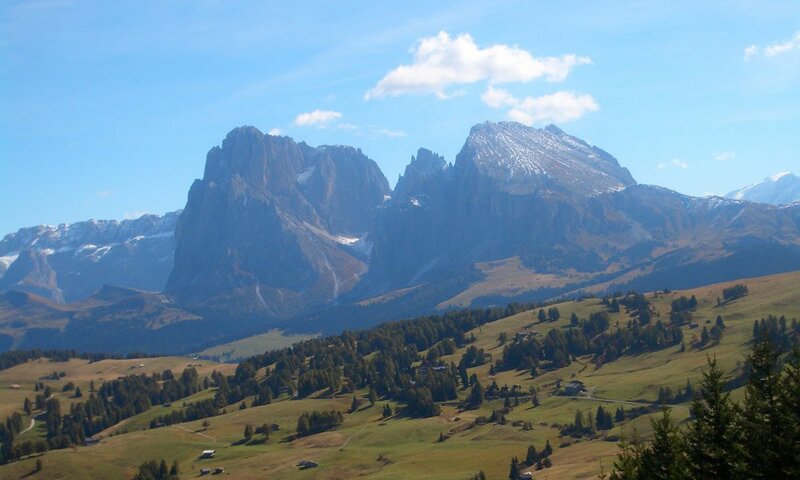 But also for all other outdoor sports, the Alpe di Siusi offers an ideal terrain. 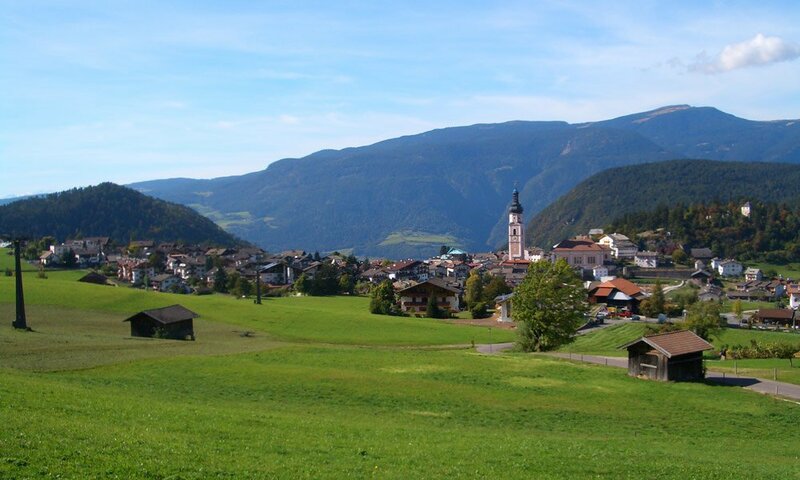 Mountain bikers, climbers and paragliders will find fantastic conditions here.